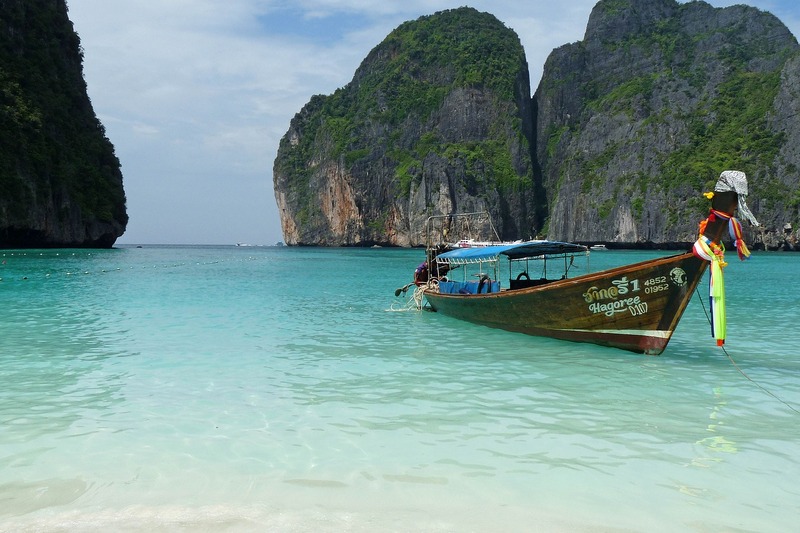 Thailand’s Phi Phi Islands have appealed to the central Thai government to help manage a shortage of clean drinking water across the popular tourist destination. Made famous in the 2000 film The Beach, starring Leonardo DiCaprio, the tropical islands have since been overrun with tourists creating marine pollution, overtaxing freshwater supplies and generating an excess of wastewater. According to TIME, a research team from Thailand’s Kasetsart University’s Faculty of Engineering discovered that the growing number of tourists have taxed the island’s freshwater resources. Moreover, the groundwater has become contaminated with wastewater in many locations because the demand on businesses has led them to bore wells to extract groundwater. By lowering the groundwater table, businesses also risk allowing saltwater into the groundwater reserves, making the water undrinkable. According to local news source The Nation, despite the island’s wet climate with more than 2,000 mm of precipitation annually, the island has only two significant water-storage facilities. “During the driest period of the year–from November to April–the island is packed with tourists, causing water demand to rise sharply, and meanwhile there’s no rain to refill the two freshwater ponds that are the only sources for pipes water on the island,” said Sitang Pilailar, the lead Kasetsart University researcher for the study. Pilailar’s study found that the groundwater currently is unsafe for consumption, filled with harmful pathogens and heavy metals sourced from offshore water pollution. While the island has an efficient wastewater treatment facility, wastewater is being generated in excess due to the overpopulation. The excess wastewater is flushed to the sea and then absorbed by the groundwater, Pilailar said. In order to address these drinking water and environmental concerns, the island would need significant infrastructure upgrades and potentially to limit the tourism industry, the lifeblood of the island’s economy. Pilailar has proposed that business operators install rainwater harvesting systems and wastewater reuse systems as a sustainable solution, as well as limit the number of tourists allowed on the island. "We would like to again ask for the attention and help of the central government, and we also want the related agencies to work with us on improving the environment and quality of life for all people of Phi Phi Island," said Phankam Kittithonkul, chief of administrative organization. "We need to be able to maintain our beloved islands as one of the world's most beautiful island retreats." This latest report on decreasing drinking water sources comes just days after the islands were praised for an apparent environmental recovery. A viral video showed reef sharks swimming in the Maya Bay, which had been closed for a year to allow recovery from excessive tourism and pollution. American National Standards for health effects of drinking water treatment chemicals and drinking water system components have been updated.